Australia is a distrusting nation and this will not change until the customer is truly put at the centre of decision making by governments, institutions, and business, according to a report by Edelman. The latest 2019 Edelman Trust Barometer, found that while Australia’s trust overall did increase by eight points on last year, we are still an overall distrusting nation and below the global average. 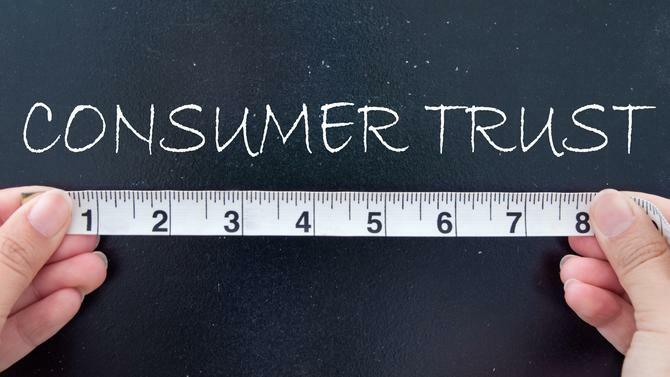 Edelman Australia CEO, Steven Spurr, said what the distrust boils down to is companies are not looking out for the consumer. “What we’ve seen this year is minor rises, but from such a low base, meaning we are still pretty much a distrusting nation. Ultimately, scores around the mid-40s or 50s aren’t major causes for celebration,” Spurr told CMO. “Australians have seen too many fails locally and globally. Businesses and governments are not looking out for the customer, and things like the recent Royal Commission has exposed that process. Nearly two in three Australians (64 per cent) are worried about the impact of fake news. Australians’ media engagement has increased 26 points. This increase is above the global average (22-points). Trust in search engines increased 10 points, to 57 per cent. Trust in owned media has increased nine points, to 35per cent. Spurr said Australia is an incredibility forgiving nation, provided those in authority are honest and authentic. According to the report, 55 per cent of Aussies and 70 per cent of Gen Y and Gen Z require companies to have shared action and a greater purpose. This is even stronger when it comes to companies they want to work for. In good news, both trust of traditional media and fact checking is on the increase, as trust in social media plunges. “Aussies are consuming more content. However, 54 per cent are worried about fake news, particularly it being used as a weapon of control, and 63 per cent telling us they are fact checking what they see in social and online," Spurr said. "This has driven us to trust traditional media more than ever before. “Social media trust is down, and Australia is the lowest in the world. But we are not abandoning it, just finding different ways to use it." Among other key findings were that Australia’s trust in government increased seven points in the last year to 42 per cent, however, this still sits firmly in distrusted territory. Australia’s trust in media meanwhile, increased nine points in the last year to 40 per cent but remains distrusted. In contrast, Australia’s trust in business increased seven points in the last year to 52 per cent and is now in neutral territory along with NGOs, which are now sitting at 56 per cent. Overall, however, Australia’s trust in the three institutions of business, government and media is below the global average. In addition, more than half of Australians (54 per cent) believe that the system is failing them. The top three fears among Australia’s general population are related to: Hackers, cyber-attacks and cyber-terrorism (68 per cent), reliance on overseas goods (65 per cent), and loss of the Australian way of life (65 per cent). There is a six point trust gap between genders, with women distrusting three out of four institutions (business with 49 per cent, government with 39 per cent, media with 38 per cent, and NGOs sitting in the neutral zone with 52 per cent). Australia’s trust gap between men and women is larger than the global average (AU gap 6-points versus global gap 5-points). Women’s trust in business and government is also 6 points below men’s trust in both business and government (49 per cent versus 55 per cent and 39 per cent versus 45 per cent respectively. Edelman also found Australians look to employers for leadership. For example, 54 per cent of employees look to their employer to be a trustworthy source of information about social issues and other important topics on which there is not general agreement. Fifty-seven per cent of employees also see business as a trusted source of information on the global economy, and 72 per cent believe a company can take actions that both increase profits and improve economic and social conditions in the community where it operates. Peer-to-peer credibility has increased the most (12 points) in the last year, becoming the most credible source alongside academic experts. “The last decade has seen a loss of faith in traditional authority figures and institutions,” commented Edelman president and CEO, Richard Edelman. “More recently, people have lost confidence in the social platforms that fostered peer-to-peer trust. These forces have led people to shift their trust to the relationships within their control, most notably their employers. “This is the emergence of the new contract between employee and employer, which we call Trust at Work." For Edelman, this contract is predicated on companies taking four specific actions. The first is leading on change, establishing an audacious goal that attracts socially-minded employees and make it a core business objective. The second is empowering employees by keeping them directly informed on the issues of the day and give them a voice on business channels; while the third is starting locally by making a positive impact in the communities in which you operate. "And how CEO leadership: CEOs must speak up directly on issues of the day. Smart companies will heed the call to build trust from the inside out with employees as the focal point,” Edelman added.